No recent television creator has generated more critical, scholarly, and popular discussion or acquired as devoted a cult following as Joss Whedon (b. 1964). No fewer than thirty books concerned with his work have now been published (a forthcoming volume even offers a book-length bibliography), and ten international conferences on his work have convened in the U.K., the United States, Australia, and Turkey. 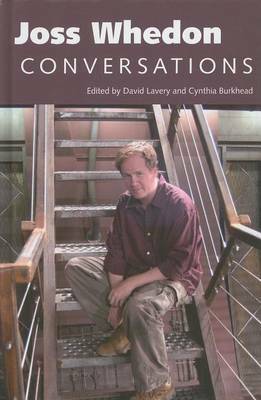 Fitting then that this first volume in the University Press of Mississippi's ""Television Conversations"" series is devoted to the writer, director, and showrunner who has delivered Buffy the Vampire Slayer (The WB, 1997-2001; UPN, 2001-3), Angel (The WB, 1999-2004), Firefly (2002), Dr. Horrible's Sing-Along Blog (Webcast, 2008), and Dollhouse (FOX, 2009-10).If Whedon has shown himself to be a virtuoso screenwriter/script-doctor, director, comic book author, and librettist, he is as well a masterful conversationalist. As a DVD commentator, for example, the consistently hilarious, reliably insightful, frequently moving Whedon has few rivals. In his many interviews he likewise shines. Whether answering a hundred rapid-fire, mostly silly questions from fans on the Internet, fielding serious inquiries about his craft and career from television colleagues, or assessing his disappointments, Whedon seldom fails to provoke laughter and reflection.